Open Water Diver – It’s official ! 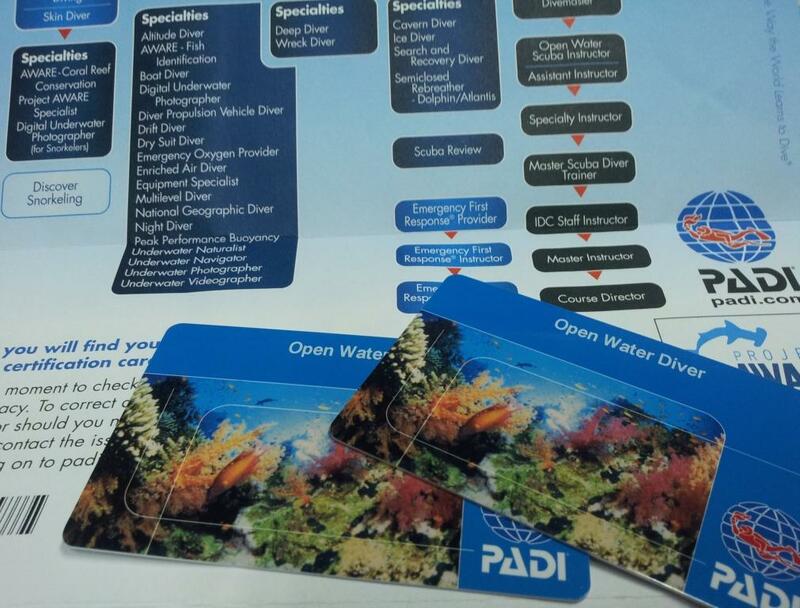 We are certified Open Water Diver! I am so excited about it… It was just like yesterday we had our first pool session. And, now… it’s official ! I thought Hub was equally excited as he has been going around finding out who amongst our friends who are also open water diver… until I caught one of his conversations. Hub : Hey… are you certified diver? Friend 1 : Yeah… why? Hub : Cool… the next time (wife) wants to go diving, you can be her buddy. But, he ensure me that if no one wants to be my buddy during a dive trip, he’ll be mine (reluctantly). This means that all I have to do is to convince all our friends not to be my buddy…. MUAHAHAHA.